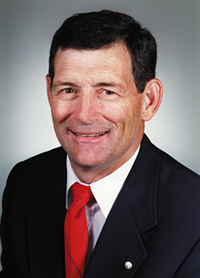 Wayne Skaggs, is retired as the William Neal Reynolds Distinguished University Professor in the Department of Biological and Agricultural Engineering at North Carolina State University. He made pioneering contributions to the understanding and modeling of complex soil, water, and plant systems and is widely recognized as an international expert in drainage water management systems in agriculture. 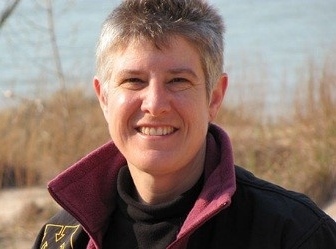 Gwen White, is the Science Coordinator for the Eastern Tallgrass Prairie and Big Rivers Landscape Conservation Cooperative within the U. S. Fish and Wildlife Service. 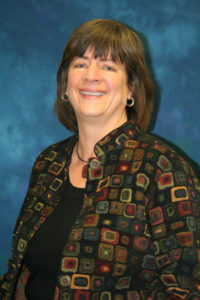 She has more than 20 years of experience in conservation planning and program development. Jerry Hatfield, is the Laboratory Director and Supervisory Plant Physiologist for the USDA-ARS National Laboratory for Agriculture and the Environment in Ames, Iowa. His research emphasis is on the interactions among the components of the soil-plant-atmosphere continuum and their linkage to air, water, and soil quality. 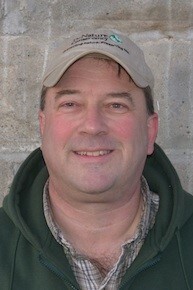 Dave DeGeus, is the Working Lands Director for The Nature Conservancy in Iowa. He works with The Nature Conservancy's Iowa and North American Agriculture Programs on strategies ranging from supply chain sustainability to watershed protection. Alex Echols, is the Executive Vice President of Ecosystem Services Exchange and the Special Projects Contractor for Sand County Foundation. He works extensively with the philanthropy and corporate communities to develop conservation programs. 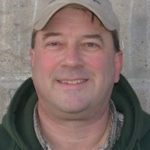 Bob Clark II, is the President of Clark Farm Drainage, Inc. and a certified Technical Service Provider in Drainage Water Management to the NRCS. 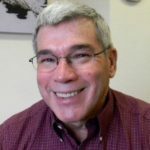 He serves on the Board of Directors for the Agricultural Drainage Management Coalition, the EPA's Ag Training Committee, and is a frequent contributor to Drainage Contractor and LICA Contractor magazines. 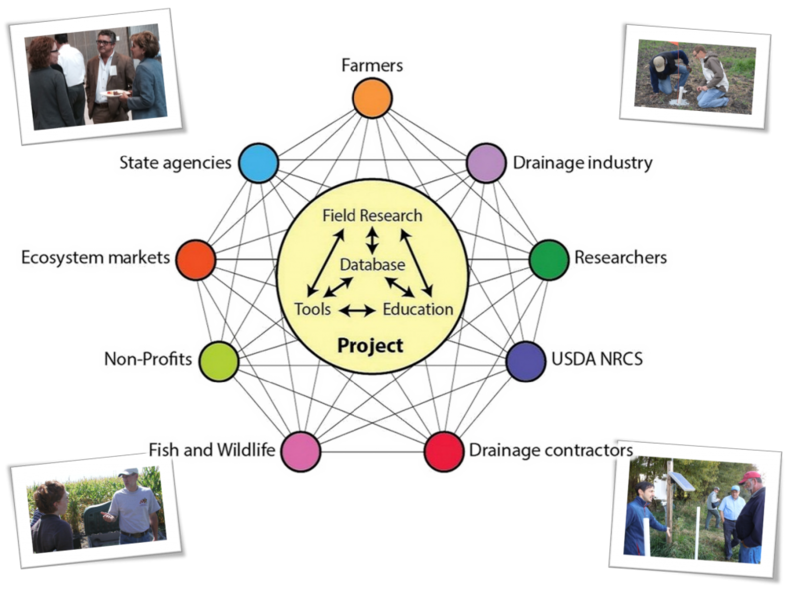 Ruth Book, is the USDA-NRCS State Conservation Engineer in Champaign, Illinois. She has expertise in conservation and environmental engineering in tile-drained landscapes and has provided extensive leadership within USDA-NRCS, serving as part of the national Agricultural Water Management team and Conservation Practice Standards subcommittee. 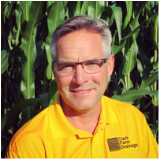 Charlie Schafer, is President of Agri Drain Corporation in Adair, Iowa and President of Agricultural Drainage Management Coalition. He has been an active voice in promoting and supporting the research and adoption of a wide range of conservation drainage practices such as controlled drainage, saturated buffers, and drainage water recycling. 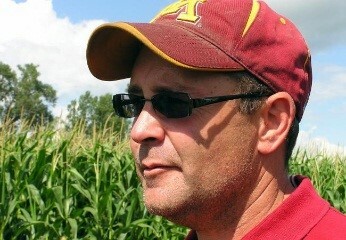 Brian Hicks, is a farmer with Nettiewyynnt Farm Limited Partnership and research collaborator with the University of Minnesota. 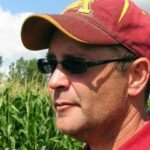 He has been a strong proponent of conservation drainage practices, only modeling practices on his 2,500 acres of cropland near Tracy, MN, but also as a speaker at various conferences and events. The Hicks family was honored with the 2013 Minnesota Farm Family of the Year.